Joreels Casino is a new gaming brand that quickly gained a good reputation within the industry, as well as a small, yet loyal following. The online casino comes with a nice variety of games, beautiful 1920’s theme and an excellent mobile-first design. Focusing on the quality and fairness of its gaming offering, while maintaining a fun and light-hearted approach, Joreels is a surprisingly good online casino considering it has been around only since 2017. The casino was launched recently as one of the latest white labels of the Malta-based company MT SecureTrade Limited. The firm holds licenses from multiple regulators such as the MGA and UK Gambling Commission and it has an impressive portfolio of online casinos that include Rizk, Guts Casino, Dunder, ShadowBet Casino, Cashmio, and many others. Along with the fast, interactive web platform by MT SecureTrade Ltd., Joreels has one more great advantage over many of its competitors – its unique theme. It is built like the so-called speakeasies from the Prohibition era in the United States – the illicit hidden bars where customers could find alcohol, gambling and all kinds of entertainment. 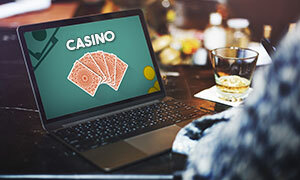 Thanks to this creative concept, the online casino managed to attract a good number of players in a short period of time. But its theme and overall design are just the tip of the iceberg – underneath, the casino has achieved functionality, convenience, and fair play, which are much more fundamental to the overall quality of the platform than just sheer looks. Its Cashier system accepts various payment methods, including major credit cards and digital wallets, while the payouts are reliable and secure. The site supports several languages and currencies, while the support is professional and responds fairly quickly. The collection of games at Joreels Casino is impressive thanks to its partnership with over a dozen software providers, including market leaders such as Microgaming, Play’n GO, and NetEnt. The lobby hosts more than 700 games – slots, progressive jackpots, table games, and live dealer games. They can be played for real money or for fun and the variety of themes and styles are almost overwhelming. Of course, this is not the largest selection of casino games and it does not have to be – after all, Joreels is still a new casino and has plenty of time to add more titles to its gaming library. Moreover, these several hundred games stand out with beautiful graphics, interesting features, and amazing animations. Last but not least, the bonuses offered by the casino are quite decent, although they are nothing extraordinary. Similarly to most new online casinos, Joreels has prepared a sign-up bonus in order to attract new players. When they register an account, they can activate their bonus and make a qualifying deposit within 7 days so the bonus can be credited to their account. The bonus is standard – a 100% match bonus of up to $/€100 for non-UK and 100% up to £50 for UK players but the wagering is very high at 70 times the bonus amount. Of course, those who wish to play without bonuses can always cancel them and play with their own money. Online Since Joreels Casino launched in 2017. Minimum Deposit/Withdrawal The minimum deposit and withdrawal at the casino are the same – £20. 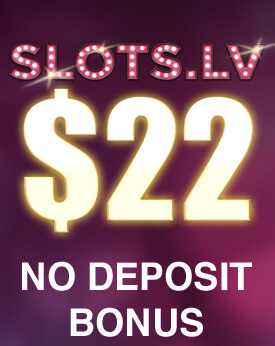 No Deposit Bonus No deposit bonuses are not available at Joreels Casino. “Joreels Casino has prepared a nice Welcome Bonus for all newly registered players – once they make a deposit of £20 or more, they will receive a 100% match bonus of up to £50. 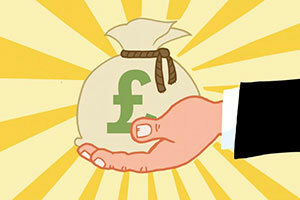 Upon making a qualifying deposit for the second time, the casino gives them a 50% bonus of up to £50. Deposits via Skrill and Neteller do not qualify for any of these promotions and players need to know that these bonuses are valid for 7 days after activation. Patrons also need to complete a 70x wagering requirement before they can withdraw any winnings. The maximum allowed bet while playing through the bonus is £5 and the maximum winning that can be received from a match bonus is £1,000. Slots contribute 100% to the wagering (with some exceptions), while table games, video poker, and live dealer games do not contribute at all. 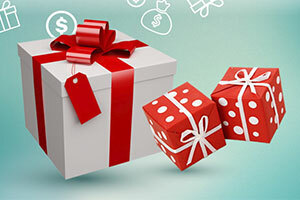 Non-UK players can claim 100% bonus up to $/€100 upon their first deposit. Regular Bonuses The online casino has an interesting promotion for all players and it is called Happy Hour. If you deposit at least £20 from 21:00 to 23:00 CET during the week (Monday to Friday), the casino will grant you 10 free spins. You can activate this offer as many times as you wish every day and use the spins within 24 hours. 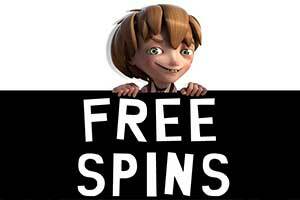 The maximum bet when playing through the free spins is £5 and there is a 49x wagering on the winnings. The maximum amount that can be withdrawn is £500. VIP Programme Joreels Casino has a special VIP Room for its most active players. In order to enter it, however, patrons need to either make 20 deposits a month or spend £20,000 in bets. VIP members get access to personal VIP managers, no withdrawal limits and increased deposit limits, customised cashback plans, wager-free deposit bonuses, private races and tournaments, as well as vacations and gift packages. Software The Lobby offers content from industry leading gaming studios such as Microgaming, NetEnt, Evolution Gaming, Play’n GO, IGT, Scientific Games, and Betsoft. The variety of themes and of gameplay styles is achieved via adding even more games by smaller, yet innovative software providers like Merkur, GiG Games, Quickspin, Thunderkick, Pragmatic Play, NYX Gaming, Genii, Yggdrasil, and Nolimit City. Popular Jackpots Some of the most progressive jackpot slots from Microgaming can be played at Joreels Casino – Mega Moolah and Mega Moolah Isis, Major Millions, Cash Splash, and King Cashalot. 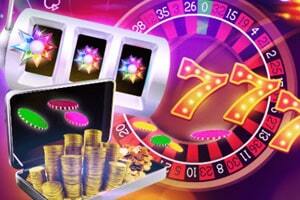 Players can also enjoy hit titles by NetEnt such as Hall of Gods, Mega Fortune, Cosmic Fortune and Divine Fortune. The casino also hosts Gunslinger, Mega Jackpots Golden Goddess, and more. 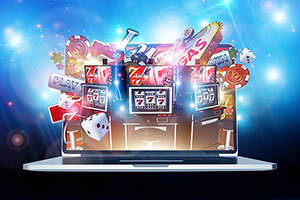 Game Types The casino has hundreds of games, divided by provider and category, and slots fans would love the massive selection of classic and video slots by a wide array of software providers. In addition, the casino offers Table Games, Live Casino, Video Poker, and Jackpot Games. Live Casino Joreels has a large Live Casino section powered by Evolution Gaming and NetEnt. Players have access to live dealer blackjack, roulette, baccarat and poker. Mobile Casino The casino has a fantastic mobile platform, available to most Android, iOS, and Windows Phone devices. No download is required and players can access the Mobile Casino in the browser of the phone or tablet. Deposit Methods Joreels Casino accepts free deposits via several payment methods that are fast, safe and reliable – debit and credit cards by Mastercard and Visa, instant bank transfer services (Trustly, Instadebit, and Entercash), e-wallets (Neteller, Skrill), prepaid cards like Paysafe, and Bank transfer. The comprehensive payment system EcoPayz is also available, as is Zimpler, a new mobile payment method. Currencies Players can choose from several currencies when registering their account – GBP, EUR, CAD, SEK, NOK, and JPY. Languages The casino platform is available in several languages – English, German, Swedish, Norwegian, Finnish, and Japanese. Support The online casino provides reliable customer support via email (support@joreels.com). Licences Joreels Casino is operated by MT SecureTrade Limited, which is registered in Malta and licensed by the Malta Gaming Authority under licence number MGA/B2C/257/2014. The operator is also licensed and regulated by the UK Gaming Commission (Remote Casino Operating License №39575). N.V SecureTrade holds a Curacao eGaming licence (№1668/JAZ). As mentioned above, Joreels Casino has a nice gaming library of more than 700 games that can be loaded in real-money or demo version. Players should bear in mind, however, that the majority of them are video slots. Those who look for a complete range of table games or video poker titles would not be satisfied – there is only a handful of roulette and blackjack games and the video poker variety is less than impressive, to say the least. Yet, this should change with time as casinos typically tend to add more games as they gain more experience. The slots and live games are provided by multiple gaming studios and the complete list includes NetEnt, Play’n GO, Microgaming, Quickspin, IGT, Evolution Gaming, NYX, Yggdrasil, Scientific Games, Merkur, Genii, Nolimit City, Thunderkick, Betsoft, GIG Games, and Pragmatic Play. Joreels Casino may not offer a lot in terms of classic casino gambling, but when it comes to slots, it features some of the best and most popular titles right now. Players can choose slots by provider, or pick a game with an interesting theme or reel structure. When it comes to the bet limits, they vary greatly since some slots allow playing with a single pay line, while others have all their lines activated at all times. This means that the minimum bet per spin in certain games is as low as £0.01 while in other games, players need to bet at least £1.00 for every spin of the reels. Only a few classic-style fruit machines are available – Merkur’s Take 5 and Rising Liner, as well as Pragmatic Play’s Diamond Strike, are great examples, although these games include special symbols, free spins, and other bonus features. The slot Twin Spin by NetEnt also has beautiful retro symbols but it is one of the finest games available right now. Not to mention that most of these slots actually feature 5 reels and look much more modern and appealing than the old-school three-reelers. Most of the games in this category are video slots and the best of them could be found under Jo’s Reels – here, players can find interesting titles such as Immortal Romance, Castle Builder, Ariana or Pistoleras by Microgaming, or Book of Dead and Gemix by Play’n GO. Other great slots here are Jamming Jars, Wizard of Gems, and Da Vinci’s Treasure. Of course, the most preferred games are listed under the Most Popular sub-category and here, players can choose from some of the biggest hits right now. These include NetEnt’s Dead or Alive, Starburst, Jack and the Beanstalk, and Gonzo’s Quest, Poltava and Wild Toro by NYX, Dragonz and Tarzan by Microgaming, and many others. As Joreels Casino constantly adds new slots and table classics to its collection, they can be found under the New Games category. Of course, most of them are slots and include beautiful releases such as the sci-fi Wild-O-Tron 3000, the unique Irish-themed Finn and the Swirly Spin, or the amazing slot Vikings, which is based on the popular TV series of the same name. All these are created by NetEnt, but the category includes many more titles – Ivan and the Immortal King by Quickspin, Battleship Direct Hit by Scientific Games, Microgaming’s Book of Oz, Action Ops: Snow and Sable, and Battle Mania, as well as many others. Focusing on slots, Joreels Casino has a nice collection of table and card games but their numbers are quite limited. Still, fans of the traditional casino gaming will find several variations of roulette and the low betting limits would allow them to enjoy several exciting hours. The Lobby hosts NetEnt’s European, French, and American Roulette, which are rather standard versions and come with all the basic rules. The most significant difference between them is the number of numbered pockets on the wheel – while the French and European games have 37 pockets, the American roulette game has 38 pockets on the wheel (the extra one is added for the double zero). Even the most casual casino players should find the table limits quite affordable as they can wager from £0.10 to £5,000 per spin. Along with the inside and outside bets, NetEnt’s roulette variations include neighbour bets and French-style bets available on the optional racetrack layout. Statistics, hot and cold numbers are also available, as well as various game settings like choosing a soundtrack, deactivating the introduction video, and more. The games are beautifully designed, with sharp graphics, and fast gameplay. Play’n GO’s European Roulette Pro is equally stunning in terms of visuals and gameplay but when it comes to the table limits, they are much more restrictive – from £1.00 to £1,000 per spin. Players should consider the minimum an maximum bets available because here, 100 spins would cost at least £100. When playing any of NetEnt’s roulette variations, however, casino patrons would be able to play 100 spins for as little as £10. This game also features racetrack layout, hot and cold numbers, statistics, favourite bets, and special bets. 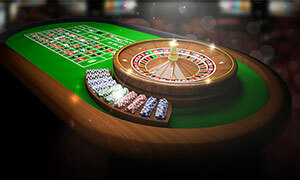 The casino also hosts Double Zero Roulette by NYX Gaming and as its title suggests, this version has a zero and a double-zero pockets on the wheel, which makes it an American-style roulette game. It offers no special bets and no racetrack layout. The only stats that are displayed are the last 14 winning numbers. The minimum bet for the table is £0.01 bet spin and the maximum amount players can wager is £2,500. 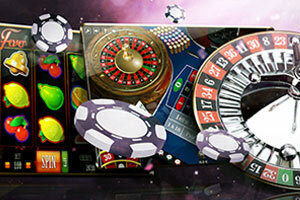 Another variation of roulette is available and this time, it is provided by Microgaming. This is the Multi Wheel Roulette Gold and it is probably the most exciting roulette game on the casino site because it features eight different wheels. Players can activate as many wheels as they wish and enjoy a vast range of game settings, special features, etc. This is a single-zero game with a racetrack and a wide variety of call bets and neighbour bets. In addition, the casino offers a fun game called Monopoly Roulette Tycoon by Scientific Games. This is a standard European roulette version but it comes with side wagers on Monopoly properties. Players should know that while the side bets can earn them up to 4x payouts, they are also risky. 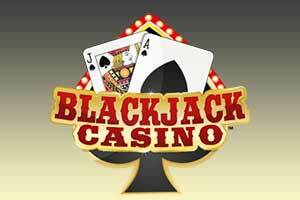 The selection of blackjack titles at Joreels Casino is a small, but a nice one since it includes two high-quality releases from Play’n GO and Microgaming. The table limits and the specific rules would be suitable for most players, while the fast gameplay and beautiful graphics create a really authentic casino atmosphere. Play’n GO’s Blackjack Multi Hand is a standard version of the classic game of Twenty-One – normal wins pay 1:1, while blackjack pays 3:2, and the dealer stands on all 17s. The game is played with 6 decks of cards and the dealer is allowed to peek at the face-down card for a possible blackjack. Hands may be split only once and doubling is allowed after splitting, except for the cases when two Aces are split. In addition, insurance is offered and it pays 2 to 1. Players can bet anything from £1 to £100 per hand. The other version is provided by Microgaming and it is called Multi-Hand Perfect Pairs Blackjack Gold. This is a wonderful European-style blackjack game, which uses 2 standard decks of cards and offers an optional side bet, the Perfect Pairs. Players who decide to place it, receive bonus payouts if their initial cards are a pair – if they are a perfect pair, i.e. two Five of Spades cards, for example, the payout is 30:1. There are two types of pairs, however, that also makes players eligible for extra winnings. When the pair is a combination of cards with the same face value and suit colour (even if they are of different suits), it is referred to as Coloured Pair and pays 15:1. A Mixed Pair is when the two cards are of the same value but of different colours. In this case, the bonus payout is 7:1. The other rules differ slightly from the standard game of blackjack. For instance, doubling down is available only on the first two cards if they are a hard hand and total 9, 10, or 11. Doubling is not allowed after a split. The minimum bet per hand is £1 and the maximum amount that can be wagered is £200 per hand. As mentioned above, there are not many video poker variations available at Joreels Casino. However, those that can be played in the Lobby feature great animations and graphics quality, fast gameplay and high RTP (Return-to-Player) percentages. All video poker fans would love NetEnt’s Jacks or Better – this is the most standard and basic version of the game, but the famous gaming studio has improved it by allowing multi-hand play. This means that players can bet on 1, 5, 10, or 25 hands simultaneously. Of course, they can wager from 1 to 5 coins per hand and choose a preferred coin denomination, depending on the number of hands. The minimum bet per round is £0.10, while the maximum bet can reach £50 or £62.50 when you play with 25 hands simultaneously. Players can adjust various settings such as Fast Play, Always or Never Gamble (it activates after every winning wound), graphics quality, sound effects, keyboard shortcuts. They can also open their game history, which might be quite useful in money management, especially for less experienced players. Another exciting video poker version offered at Joreels Casino is by Play’n GO and it is called Deuces Wild Multi Hand. This is also a multi-hand game but here, players can bet on 1, 4, 10, 25, 50, or even 100 hands at a time. When they play with many hands, they need to carefully select the bet size – the minimum amount is £20, while the maximum reaches £25 per round (it is £31.25 when players wager on 25 hands and play with the maximum bet). One of the most exciting gaming categories available at Joreels Casino is Jackpots as it includes games with impressive progressive jackpots. The top prizes of these games often reach seven or even eight figures as they constantly rise with every bet placed on them. The selection of progressives at the online casino is more than satisfactory, featuring all the popular jackpot games from studios like NetEnt and Microgaming. Players can try their luck at Mega Moolah and Mega Moolah Isis, two slot games that share the same huge jackpot. It starts at £1 million and quickly rises to over five times that number. The games actually have four different jackpots, each available during a bonus round, which is triggered randomly during regular play. Major Millions is another popular progressive slot by Microgaming but in order to win its jackpot, players need to place the maximum bet and activate all 15 pay lines. This is why before starting to play, they need to decide whether they can afford it – the bet required for activating the progressive jackpot is £3.00 per spin. There are several other titles here by Microgaming, including King Cashalot and Cash Splash. NetEnt’s hottest progressive slots are also available – Hall of Gods, Mega Fortune, Cosmic Fortune, and Divine Fortune. Unlike many other progressives where hitting the jackpot is almost impossible (it may happen once in two or three years), these games come with huge jackpots that are hit regularly. Mega Fortune, which is NetEnt’s most popular progressive slot, comes with 5 reels and 25 fixed pay lines. Players can choose the value and number of coins to wager – there are four bet levels and coins are with denominations from £0.01 to £0.50. Here, players have the chance to win one of the three progressive jackpots if they trigger the Bonus game. This happens after three Bonus symbols land on an active pay line. In addition, the chances for winning the jackpot increase with the value of the bet. Several other progressive slots can be played at Joreels Casino – Mega Jackpots Golden Goddess by IGT, Gunslinger by Play’n GO, and Holmes and the Stolen Stones by Yggdrasil. Although Joreels Casino is relatively new on the online gambling scene, it already has a Live Casino section, something that some of the well-established brands have failed to provide. 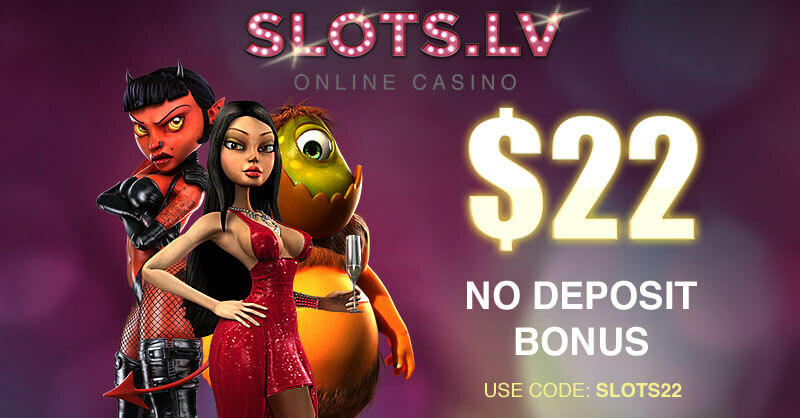 Moreover, the Live Casino here is exceptional – it features content from NetEnt and Evolution Gaming. There are over a dozen roulette, blackjack, and poker games, most offered in low roller and high roller mode. This means that many of the tables allow bets from £1 to £200 per round, but there are also games for those who prefer the high-stakes action. There, wagers start from £10 and reach £500 or even more per round. The games are streamed in real time from professional studios to players’ computers or mobile devices. The high-definition quality, however, may not be available to users with a slower Internet connection or older software. 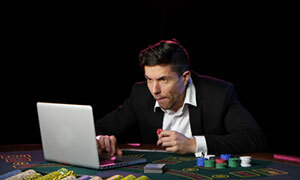 Each game is hosted by professional dealers or croupiers, which makes the gaming experience really unique and easy-to-understand even for first-time players. Currently, the Live Section features low and high-limit Live Common Draw Blackjack HD, Live Blackjack Pro, Standard Blackjack, Casino Hold’em, American Roulette, Baccarat Live, Live French Roulette La Partage HD, Auto Roulette, Dream Catcher, and many others. What Are the Roaring Races? The Roaring Races at Joreels Casino are weekly slot tournaments where players enter automatically after they make a minimum bet of £0.50. The more they play during the week, the larges their chances for scoring high on the Leaderboard. The most active players can win up to £3,000 in Megaspins. Yes, all games offered by Joreels Casino use RNG (Random Number Generator) that provides random outcomes for every game round or spin. The fairness of the games is randomly tested by independent agencies, so players can rest assured that the casino offers 100% fair play. Are Deposits and Withdrawals at Joreels Casino Safe? Joreels Casino has taken multiple measures to provide its customers with the highest levels of security – whether they enter their personal information on the website or they transfer money to and from their gaming accounts. The website uses digital encryption in order to protect user data and keep all financial transactions safe and secure. The initial verification of the user account is done via SMS sent to the player’s mobile phone upon registration. However, before requesting a withdrawal from the casino, players also need to provide verification documents in order to prove they are of legal age and do not reside within any of the restricted countries. These documents include an ID card or passport, a driving licence, a bank/credit card statement, and a copy of a recent utility bill.